The governor was direct: Idaho must make sure children are proficient readers for their age by third grade. He pledged millions of tax dollars toward the effort, in the hopes Idaho would improve reading scores for public school students. Sounds like something you heard recently? Actually, that was Idaho Gov. Dirk Kempthorne, in his first State of the State address, opening the 1999 legislative session. Kempthorne told lawmakers, “Reading is the most basic and most important skill for the education of our children and is my highest priority for our public schools. Therefore, I have identified the funds for a comprehensive reading program aimed at grades one, two, and three in the total amount of $5.5 million.” The state then created the Idaho Reading Initiative. Two years later, Kempthorne added benchmarks, telling lawmakers, “Only 50 percent of Idaho children are reading at grade level by the third grade. … We should all agree that one year from now, 60 percent will be reading at grade level. And the following year, 70 percent. And by the end of 2004, 90 percent. Since that time, a generation and a half of schoolkids, including my two children, have graduated from the state government education system. But Idaho’s reading test scores haven’t changed a whole lot. One in three third-graders still fails to read at a level appropriate for his or her age. And so, here we are in 2019 with a new governor, new Legislature and the same old problem: students not reading at grade level. Said Gov. Brad Little in his State of the State, “Our goal must be to ensure all kids begin at the same starting line in life. By the third grade, our students must learn to read so they can read to learn.” Little wants to double spending for public school literacy and allow school districts to make new resources available — such as full-day kindergarten, summer reading programs, and reading coaches — to close the proficiency gap. What a difference two decades make. Information is accessible as it has ever been. Yet, in the government school system, the problems are the same, skills are on the decline and the only thing increasing is the price tag. This is true in Idaho as in states with full-day kindergarten and preschool. Test scores being flat are only part of the problem. Worse is the continuous dumbing down of curricula. 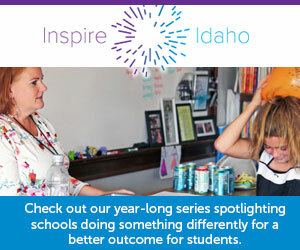 Why not make 2019 the year Idaho tries innovative approaches to student achievement, such as education savings accounts, which have been enacted in other states, freeing parents to spend money on the education that works best for their children? Why not encourage students to absorb the knowledge all around them — from YouTube and digital books and phone apps — and include that knowledge and proficiency as part of official high school transcripts? If a student learns Spanish using the popular free app Duolingo or how to build a computer from a video streaming site, shouldn’t that count for something and be recognized as much as, say, learning geometry in a government classroom? We’ve tried more money. We’ve tried new programs. Let’s at least try something new, novel, and reflective of the times — which don’t necessarily cost taxpayers more money — to see if we can generate better results for the next two decades than we’ve had the last two. By Wayne Hoffman, the executive director of the Idaho Freedom Foundation.